Turn the camshaft by the hexagon until the groove on the end of the camshafts is horizontal. Install the EN-6628-A locking tool (1). If the cover is contaminated with oil, you have to clean it close. Install intake camshaft position actuator adjuster and/or the exhaust camshaft position actuator adjuster (3). Install a NEW intake camshaft position actuator adjuster bolt and/or a NEW exhaust camshaft position actuator adjuster bolt (2). DO NOT tighten the bolts yet. Install the EN-6340 locking tool into the camshaft position actuator adjusters. The spot type marking (4) on the intake camshaft position actuator adjuster does not correspond to the groove of EN-6340-left locking tool - left during this process but must be somewhat above as shown. 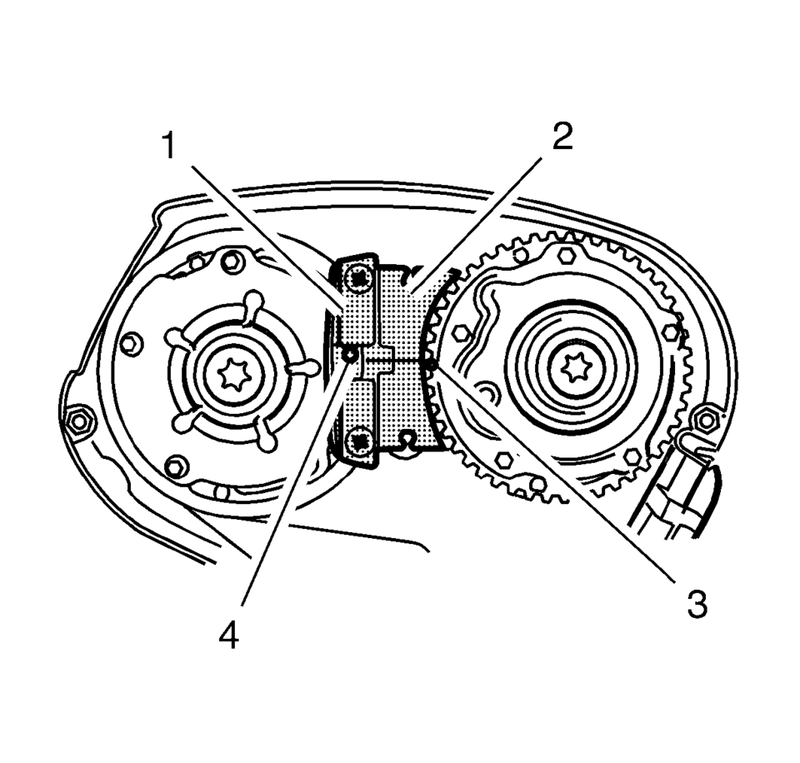 Install the EN-6340-left locking tool (1) in the camshaft position actuator adjusters as shown. 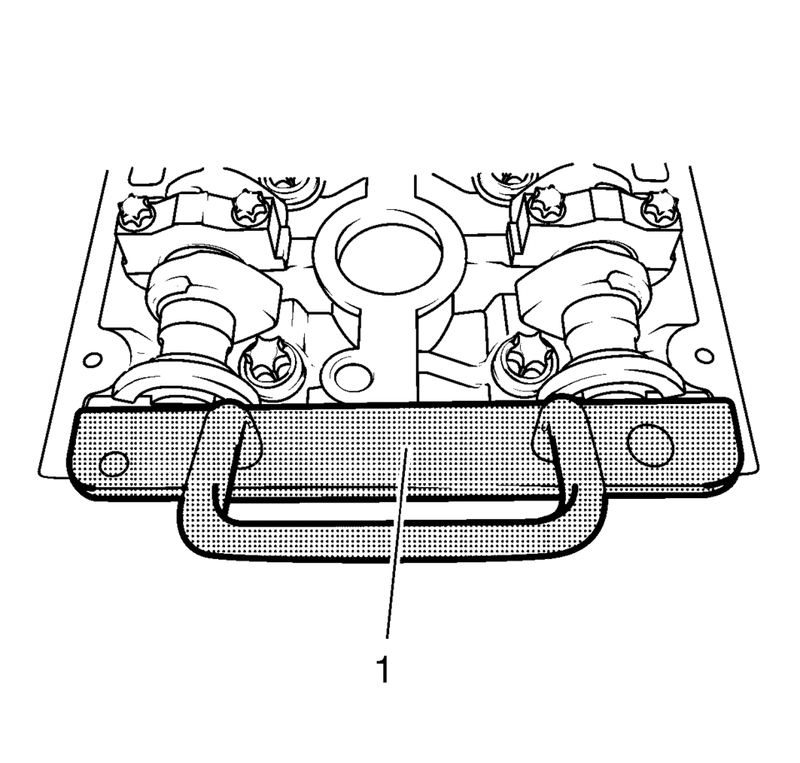 The spot type marking (3) on the exhaust camshaft position actuator adjuster must correspond to the groove on EN-6340-left locking tool - right. 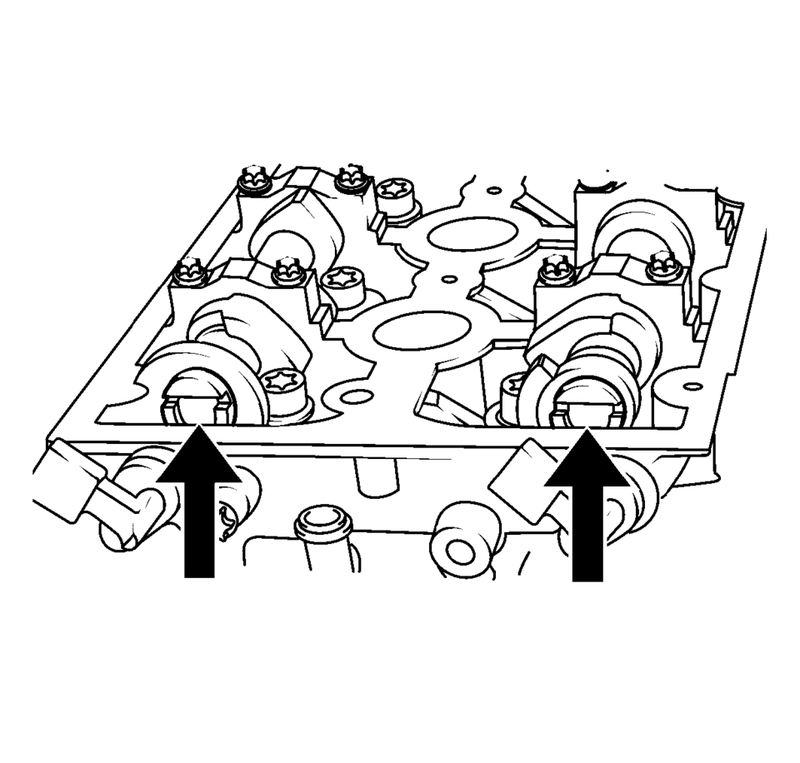 Install the EN-6340-right locking tool (2) in the camshaft position actuator adjusters as shown. A second technician is required. 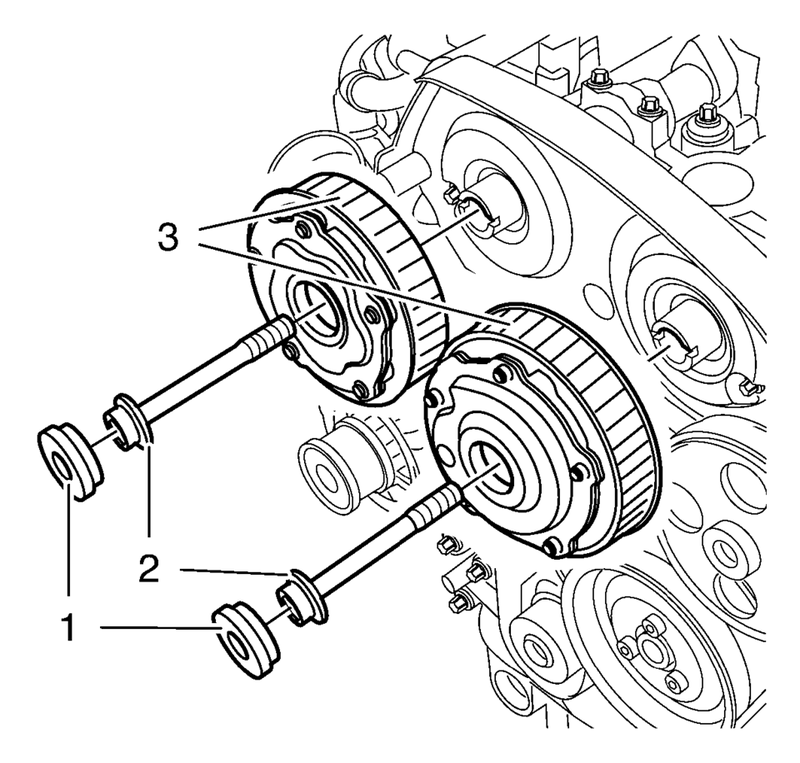 Use an appropriate open-end wrench in order to counterhold the camshaft hexagon. A thin cross-section wrench is required for a better fit. The usage of EN-6628-A locking tool is for the camshaft adjustment to prevent misalignment of the camshafts. The wrench is required to counterhold the camshafts during bolt torque procedure. Install the camshaft position actuator adjuster bolts (2) and tighten the bolts in 3 passes using the EN-45059 meter. Check the closure bolt seal ring. Remove the EN-6628-A locking tool. After the installation of the timing belt, rotate the engine 720 degrees and check the position of the crankshaft and camshafts, again. Refer to Timing Belt Adjustment.